We picked a seasonal colour for this month's theme of Red all over. 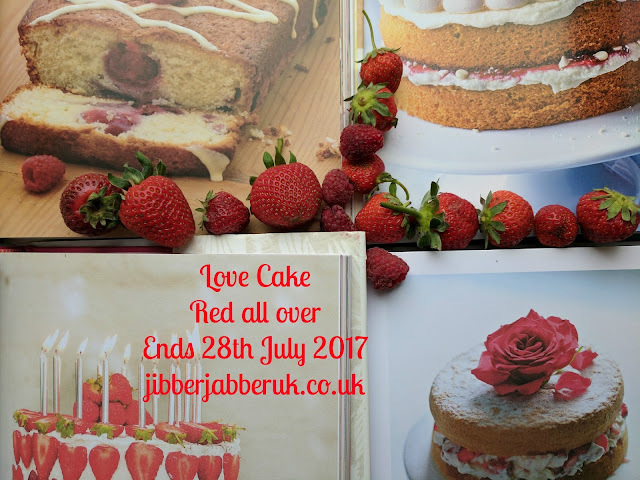 With all sorts of red fruits filling our allotments, gardens and market stalls it's been the perfect month to include some in our summer bakes. Let's see what cakes we have been making this month. Raspberries are probably at their best in July. This juicy, bright berry works so well in cakes and Choclette of Tin and Thyme couldn't resist using some in a batch of Raspberry Rose Friands. These dainty little cakes are a gluten free version using ground almonds and buckwheat flour. With raspberries in abundance at our allotment I too used them as a cake ingredient. I mixed sweet and sour for a Raspberry, lemon and yogurt loaf cake. It really is a perfect taste of summer when having a slice sitting out in the garden. Since red is my favourite colour I baked two cakes for this month's theme. For a bake that is good all year round you can't go wrong with a cherry loaf cake. 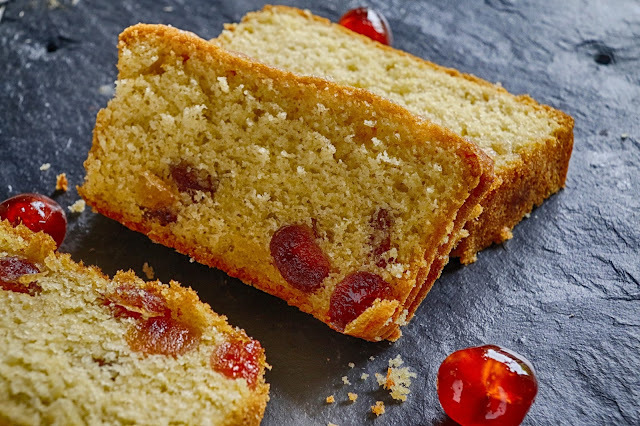 A plain cake is brought alive with a good helping of glacé cherries. This is a cake I bake again and again for cake sales. As summer moves on I'll be back in a couple of days with August's theme. You are not alone. Red is my favourite colour too. 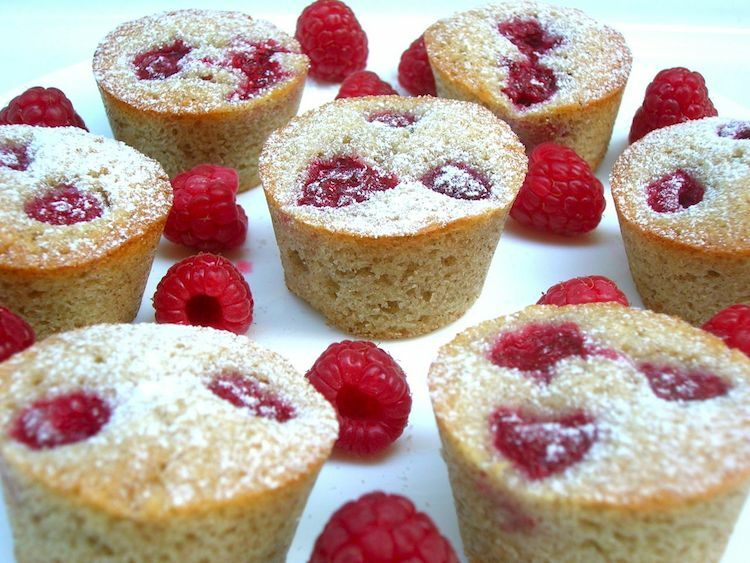 Thanks for featuring my friands and your raspberry and cherry cakes look delicious.